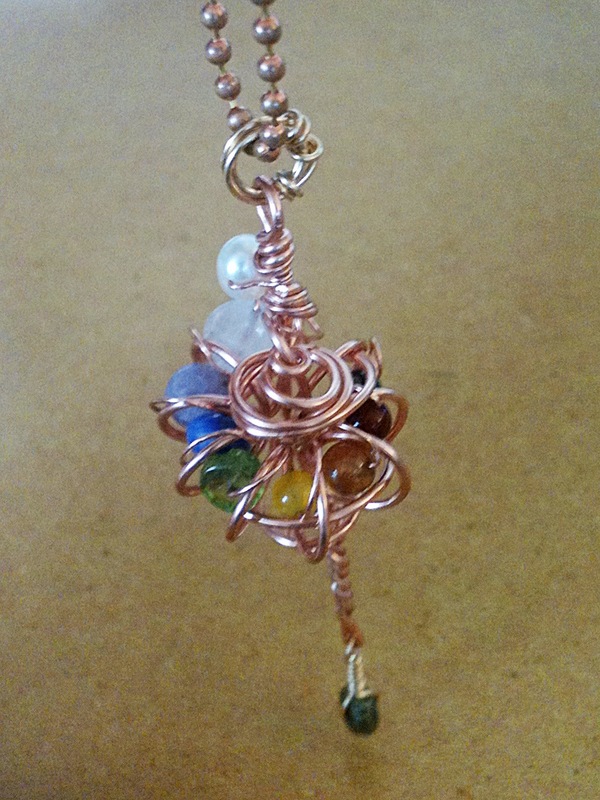 I always keep a pendulum with me, and this is a new design for a necklace pendulum. This one-of-a-kind wire-wrapped conch shell incorporates 3 wire spirals and many vortex swirls, stones for the 7 chakras ascending, pyrite & hematite for grounding & protection, and a freshwater pearl for “flotation”. The design was transmitted by Adrial, a Celestial Being of Athabantian, and it facilitates connecting with one’s Intuition, Higher Self, Spiritual Guides and Angels. The SAM instruments we are creating together are very powerful and symbolic, and are very useful as meditation tools. We will explain more about the significance of the number SIX soon. I hope to make this one (and/or similar ones) available online soon, in a Ruwa Design shop on eBay or Etsy.